What my dad always called, “mahogany door skin” can be found at the local lumber supplier and cut down into preferred sizes on site. Luan or Honduras mahogany skins have a gorgeous grain and colour that can be kept intact by priming with clear gesso or acrylic medium (both sides and the edges, for critter-free longevity). A quick Google search brings up a 1/8” 3 x 7-foot sheet for about twelve dollars. 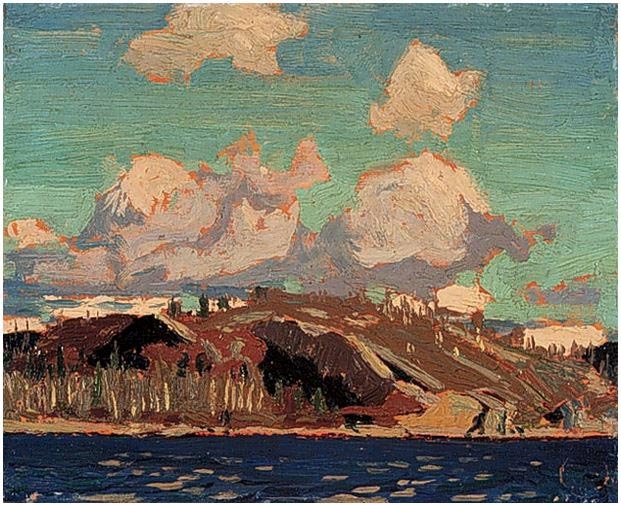 As for whether wood panels are professional, the answer is they were the support of choice for Tom Thomson. 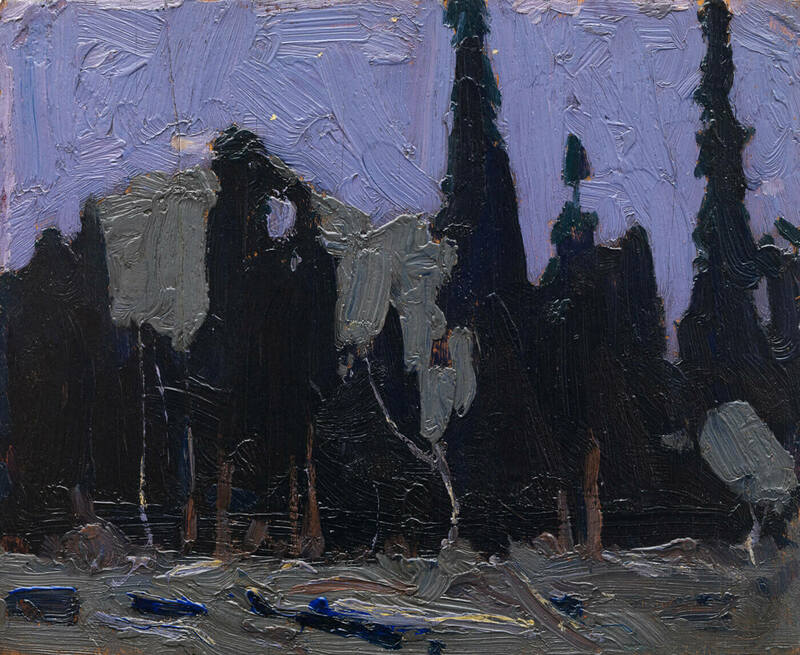 Along with painting about 50 large canvases, Thomson produced over 400 oil sketches on small wood panels between 1912 and his death on Canoe Lake in 1917, when he was just 39. 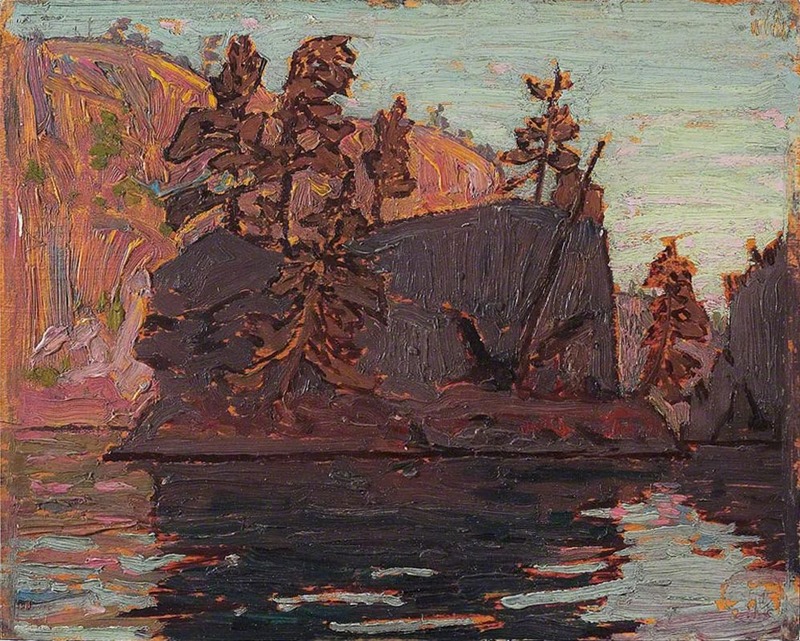 A lifelong outdoorsman, Thompson’s fresh, intimate and painterly panels signalled the birth of a distinctly Canadian identity in landscape painting and suddenly provided a physical embodiment of our collective, national connection to the wilderness. Your wood panels, too, can reveal the sensuality and story of the forest. Simple and real, they smell wonderful, they’re light and thin, fit perfectly in a wet-box or backpack, ship and slip into a gallery frame and remind us of the material truth of our painting traditions. Esoterica: Also mentioned in the note was our 2014 letter about cropping and relining. Dad wrote in 2008, “More than one of my disasters has been saved for posterity by a little effort and a recropping panel.” A simple slice with a box-cutter can resurrect compositional strengths amongst boo boos on canvas, which can then be glued onto a wood panel with an archival PVA. Dorothy the Airedale (2000-2014) and I go into the details in the letter, Cropping and relining, here. 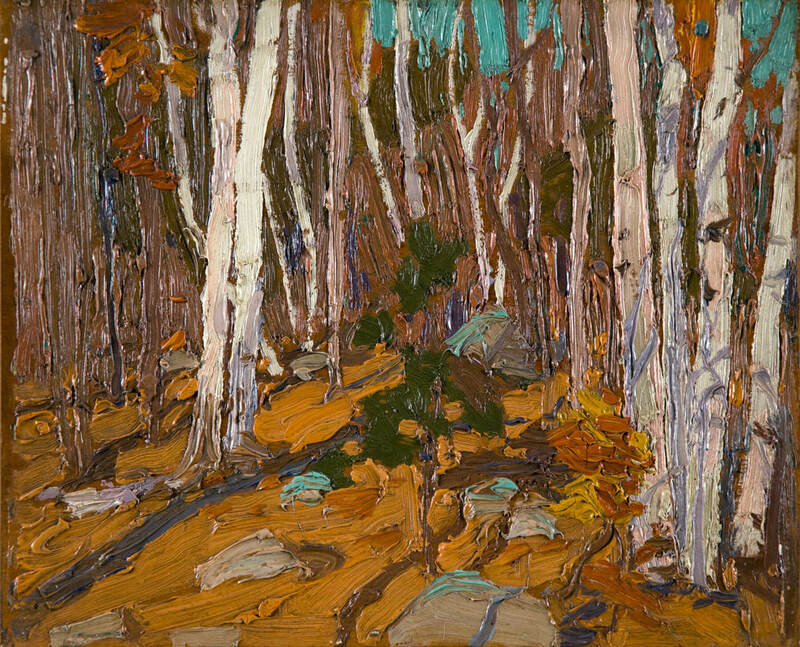 book about Tom Thomson by Roy MacGregor called “Northern Light”. While I am a watercolour artist I have always loved the work of the Group of Seven as their paintings are strong and vibrant and beautifully represent the true Canadian north. Thank you Sara! Excellent and timely as always… would love to see your show. Just can’t seem to get down to NY. I will try. I looked for these recently, and the luan door skins are no longer available except as sold in bulk from the producer and getting them cut to size from the producer ends up being bizarrely expensive. If anyone knows of a good source, I’d love to hear about it. I use plywood – usually Baltic birch – or Masonite almost exclusively for oils and yes you must seal them with clearcoat or GAC 100 or equivalent before gessoing. They are, in my opinion, more stable and long lasting than even linen canvas and I prefer the smooth texture although others like the texture of canvas. Home Depot does NOT carry mahogany door panels because of the destruction of the forests in Indonesia for the mahogany. I bought a panel of white birch only to find the back was mahogany. I like the panels but I can’t justify them in my mind. Hardboard works just as well. As a student at OCA in the early 60ths we were taught, no matter what surface, you need to seal with simple gelatin, then prime with an oil base paint but any exterior latex with also do the job…..using this method on hard board I have good results after 60 years. I found a fabulous piece of rusted metal…kinda moon-shaped… about 10″ x 20″. Relatively thin. Not too heavy. The painting could be on a wood substrate or canvas… about 36 x 48… maybe larger. I’m imagining a textured painting with this metal somehow embedded into the painting itself. 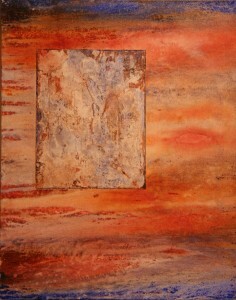 I’d love to hear from someone who has worked with this type of mixed media please. It all depends! If working in oils, a minimum of surface preparation is needed for wood based substrates. Acrylics are a different matter. I lost most of my early acrylics due to substrate induced discolouration (SID) , so I am much more cautious at this point in time. 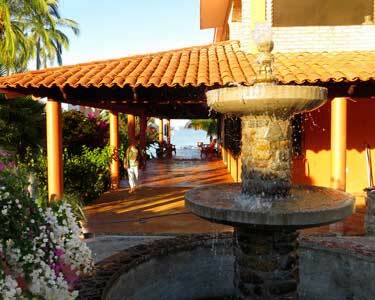 A visit to a conservationist or even the Golden website will provide an overview of the problem. There is no cure after the fact. Golden recommends a minimum of two coats of gloss medium to completely seal the substrate prior to gesso. Otherwise, the moisture from the paint will likely penetrate the substrate, dissolving resins and acids which then wick their way to the surface as the paint dries. The impurities are carried along and show up as stains at some point in the future. The heavier you apply the paint, the greater the risk. Even canvas panels with plant-based backers pose a risk for SID. This most definitely is a case where an ounce of prevention is worth a pound of cure. Try using a thorough coat of clear or blonde shellac. Seals well and dries quickly. Best done outdoors because the alcohol is pretty toxic. Your shellac, if it is pre-cut needs to be the freshest you can buy. Best to cut your own. Shellac has been used by artist for centuries and stands the test of time. Always buy the dewaxed kind. read the can. of destroying the habitat for wildlife all over the world. These days we should be searching out recycled and reclaimed materials or wood that is sustainably grown by today’s modern sustainable forest techniques. Please don’t encourage a market that is so destructive to the earth. And to rare wild animals. 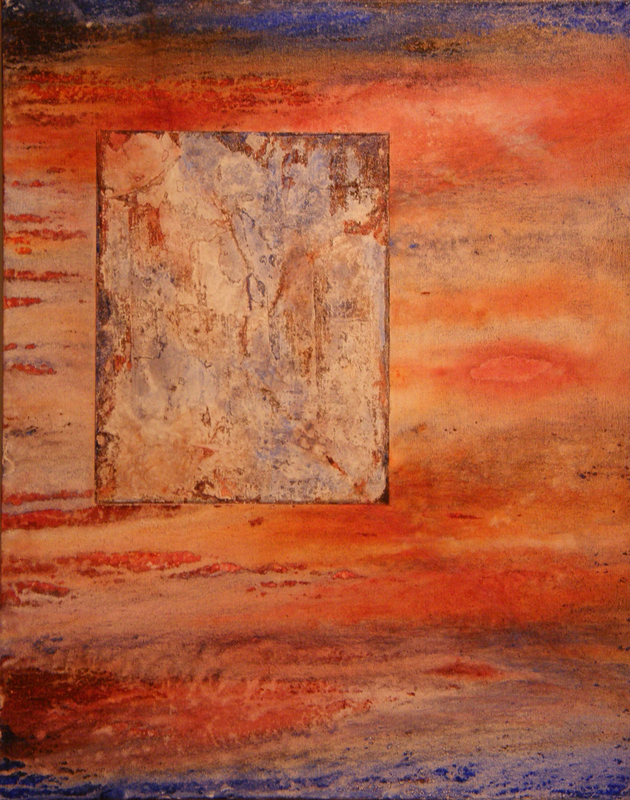 When I started landscape painting 25 plus years ago, I used 4 mm tropical plywood and glued canvas to it. I stopped when SourceTek of Scottsdale Arizona (also known as CanvasPanels.com) started up with a focus of supplying painters with archival product. The reasons I chose buying over making were several. Prime among them was the high quality baltic birch that SourceTek provided. Plywood is always at least three layers and the quality of the middle or next layer will telegraph through the surface layer. In the old days, that lower layer was as good as the surface, but as the veneer quality available for tropical hardwoods declined, the hidden layer switched to patched lower grade wood with knots replaced with ellipse type patches which I discovered can telegraph through canvas! I have never had this problem with baltic birch which is made for the European market where such telegraphing would be unacceptable and therefore is prevented in manufacture. Second, I found that archival PVA is expensive and does not keep long because it is inherently unstable, turning highly acidic with time. I didn’t like tossing it out. Third, while gluing canvas to a panel is not hard, having 100% quality control on adhesion is and discovering any spot of failure after a panel was painted, I found painful! Fourth, I found their price for a better product than I could make was very close to the cost I was experiencing and I had better use for my time! I have master painter friends who use foam core as an alternative. I continue to use 1/8 inch plywood because I can rack two to a slot and carry many boxes with me on plein air field trips; the product is very durable and as noted can easily be edited with a table saw and isn’t damaged if dropped. Thank you very much Sara for sharing Tom Thomson paintings with us. They are breathtaking!!!! and especially for me being a landscape artist.